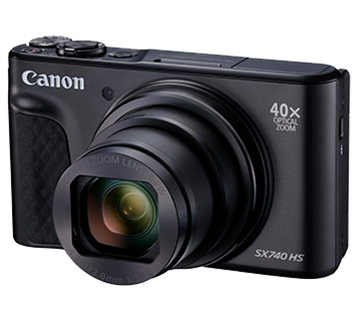 SINGAPORE, 31 July 2018 - Canon today announced the launch of the PowerShot SX740 HS, a lightweight, compact camera designed for users on the go. Powered by the DIGIC 8 image processor, that enables high-power zoom, auto lighting optimiser and 4K movie shooting, and a 20.3 MP high ISO speed CMOS sensor, the PowerShot SX740 HS achieves superb image quality even in lowlight conditions. With an auto transfer and auto uploading feature, users are equipped with easy connectivity for sharing on the go. Powered by the new DIGIC 8 imaging processor, the PowerShot SX740 HS captures pristine image quality. Even in backlit conditions, the DIGIC 8 imaging processor applies gradients to adjust highlight blowouts, achieving a well-balanced lighting, rich vibrant colours and impressive details. Users would not have to compromise their background when taking pictures with backlight, ensuring that the sunrise or sunset shots reflect stunning, sharp and intricate details. 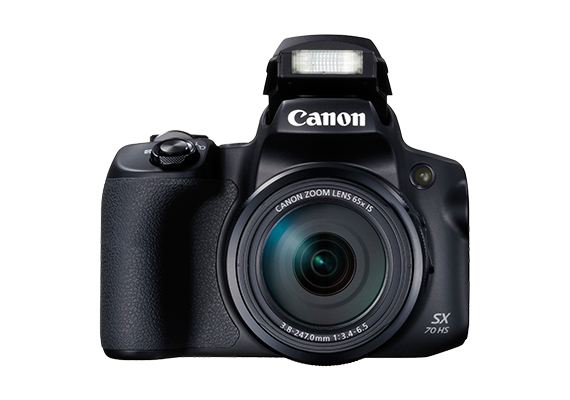 With 40x optical zoom and ZoomPlus of up to 80x, the PowerShot SX740 HS is a must-have companion for travel or concerts. Users can enjoy shooting from a distance with impeccable magnification without image degradation. Adding a boost to this capability is the wide viewing angle with focal lengths of 24mm – 960mm, which allows for creative expression. For instance, users can shoot through the fenced enclosures at the zoo to capture close-up shots of animals, or create perspective distortion by playing with the relative scale of nearby and distant subjects in the background. Through the use of the enhanced image stabilisation system, the PowerShot SX740 HS overcomes the challenge of taking night shots. With Dual Sensing IS and 20.3MP high ISO speed CMOS sensor, the camera achieves superb image quality even in dimly-lit conditions. When shooting night scenes, the camera will deliver natural-looking colours in crisp quality, promising a highly accurate image representation of what is seen by the human eye. The shorter shutter release and shooting interval ensure that users never have to miss pivotal moments, such as when their child takes that very first step. With an improved continuous shooting speed of up to 10fps in AF fixed focus and 7.4fps in AF tracking, every unexpected movement of constantly moving subjects such as children or pets at play can be captured with precision. The PowerShot SX740 HS’s 4K movie shooting capabilities produce footage four times the resolution of full HD with exceptional depth and clarity. The 4K frame Grab function allows for high resolution still images to be extracted from the footage taken. Capturing 4k time-lapse movies of breath-taking cityscapes or landscapes in edge-to-edge high resolution becomes effortless with the scene selections function within the dedicated time-lapse movie setting. Enjoy seamless image transfers from camera to phone while simultaneously shooting by activating the Camera Connection and Wi-Fi connection. The Bluetooth low energy technology (BLE) maintains a constant connection to the smartphone, allowing users to view images via their phone while the camera is in the bag. With the camera connected to the smartphone via BLE, the GPS coordinates1 of each photograph taken on the PowerShot SX740 HS can be logged. This way, users will be able to categorise their pictures effortlessly while capturing the sights and sounds of the world. Users can now enliven their social media presence with creative images in brilliant, sharp quality. The Self-portrait mode, enables users to check their appearances in real-time to make adjustments to brightness or add their preferred smooth-skin filter to achieve that ideal shot. With the Video Snapshot feature, users can shoot four to eight-second snippets, stitch them into a short movie and easily share the snaps on their social networks. The customisable Food Scene mode takes food photography to the next level, playing with tone and light to deliver mouth-watering shots, complete with excellent details and vivid colours. The PowerShot SX740 HS’s design and interface, are framed with the everyday user in mind. 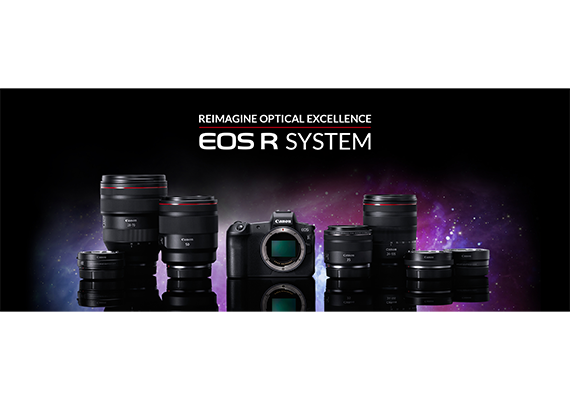 Its EOS-like user interface is designed for intuitive use and bridges the barrier between compact and EOS cameras. 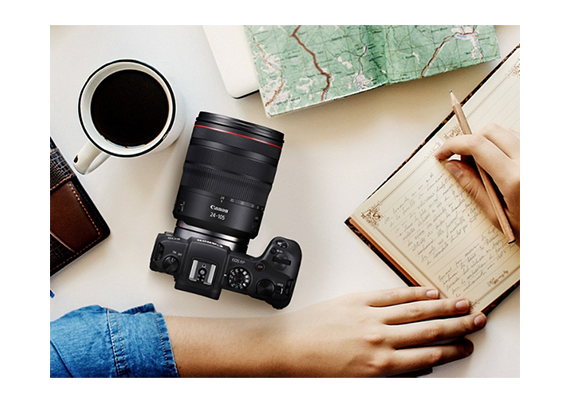 The addition of the Feature Assist function helps entry-level users master the camera functions effortlessly. Even without knowledge of camera settings, users can rely on the easy-to-understand screen displays and guides to capture captivating images. The “Image Transfer Utility” automatically sends images from the PowerShot SX740 HS to the computer and the Cloud. With this auto back-up function, users never have to worry about losing or misplacing images again. The PowerShot SX740 HS will be available from end of August 2018. Pricing will be advised at a later date.